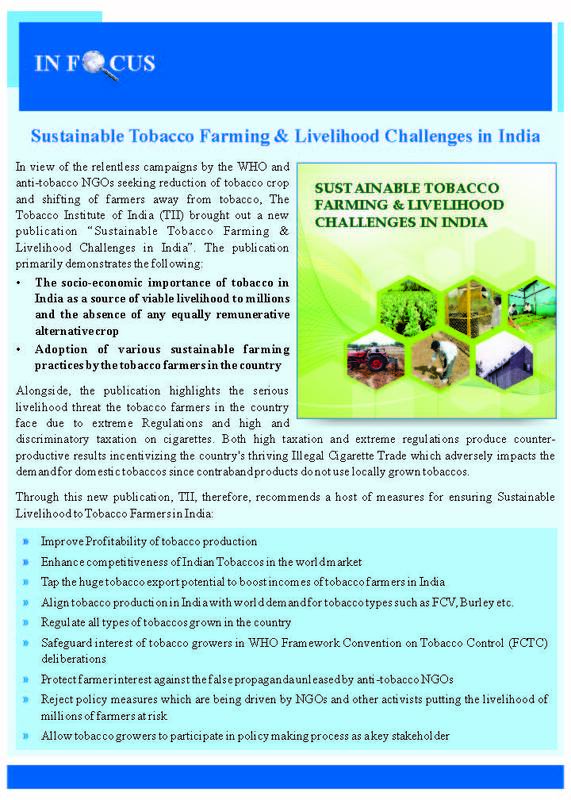 Tobacco is a labour intensive crop providing large scale agricultural employment and remunerative farmer earnings with significant contribution to the national economy. 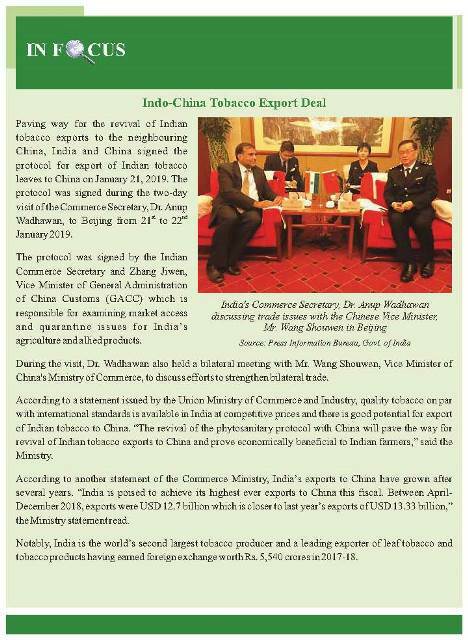 India is the 2nd largest producer of tobacco in the world providing livelihood to 45.7 million people in the country. Tobacco products generate a significant share of the country’s tax revenues amounting to more than Rs.34,000 crores annually. In addition, foreign exchange earnings through the export of tobacco & tobacco products garner around Rs.6,000 crores per annum. Recognising the enormous socio-economic benefits of tobacco, large tobacco growing/exporting countries have adopted balanced and reasonable policies towards tobacco control. For example, countries like USA, Indonesia, Malawi, Argentina, Mozambique etc. 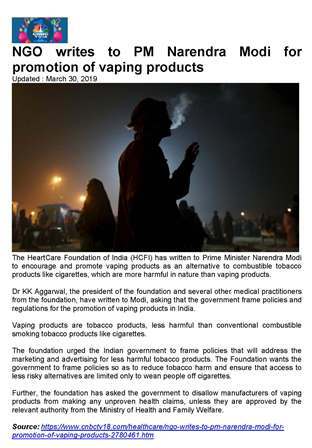 have not even ratified the WHO’s Framework Convention on Tobacco Control (FCTC). On the other hand, India, has been more extreme in its approach, implementing regulations which go beyond the requirements of the FCTC which is a framework and non-binding on the Governments. This ignores the socio-economic importance of Tobacco and the impact of such regulations on the livelihood of millions involved in the Industry. Despite India being the 2nd largest tobacco producer and a major exporter, tobacco control measures in India have always been equally or more stringent than in many developed countries from the time of the enactment of the Cigarettes (Regulation of Productions, Supply and Distribution) Act, 1975 (1975 Act) and the Cigarettes and Other Tobacco Products (Prohibition of Advertisement and Regulation of Trade and Commerce, Production, Supply and Distribution) Act, 2003 (COTPA) to the present. 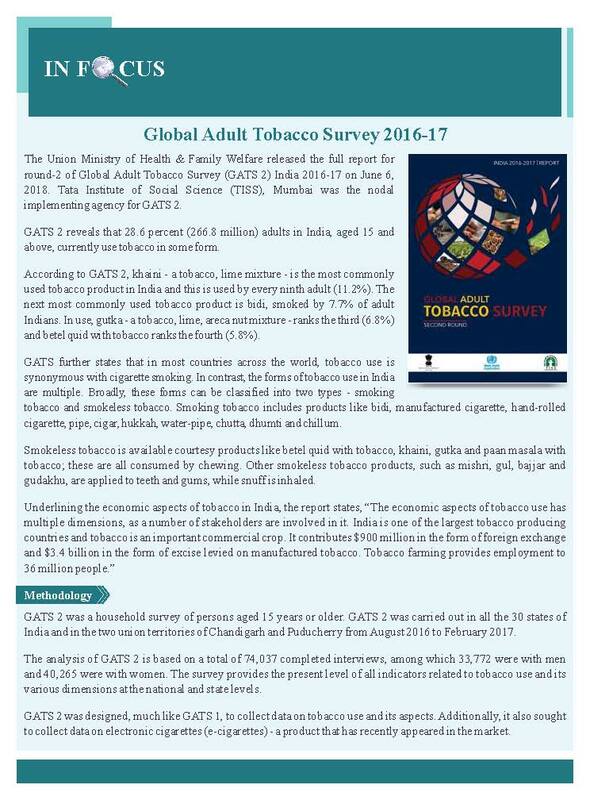 The important role that tobacco plays in India’s economy, dependence of millions on this Industry for livelihood, as also the country’s unique pattern of tobacco consumption needs to be recognized. 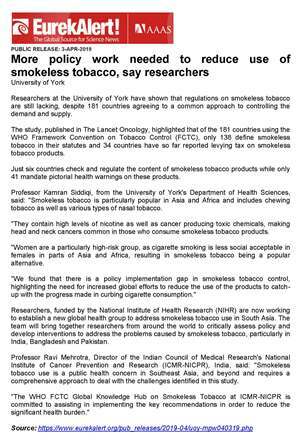 India’s tobacco control policies and regulations need to be specifically tailored to Indian conditions. They should not be based on a “one size fits all” approach, as advocated by WHO’s tobacco control programme, which is based on a Western model. The tobacco consumption pattern in India is unique in that only 10% of total tobacco is consumed in the form of Legal Cigarettes. The balance 90% is consumed in other forms such as chewing tobacco, zarda, bidi and illegal cigarettes. This is unlike the rest of the world where tobacco consumption is synonymous with cigarettes which account for as much as 90% of total consumption. Moreover, the legal cigarette industry in India is in the organized sector, is licensed and is completely compliant with all tobacco control and other regulations while non-cigarette products are largely produced in the unorganized sector where compliance and enforcement are extremely difficult. Consequently, the thrust of tobacco regulations is on the small legal cigarette segment of the tobacco industry providing a huge impetus to the illegal cigarette trade which is non-compliant with regulations in the country. 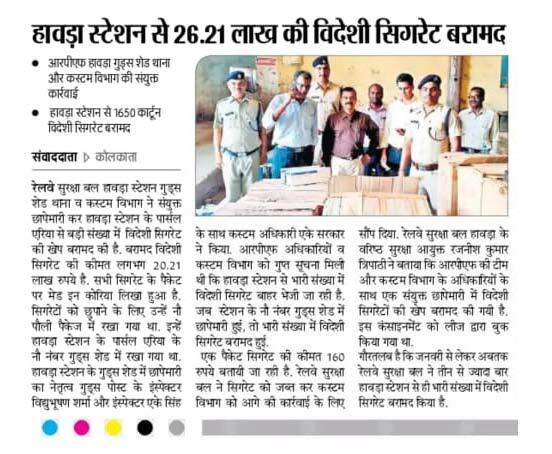 As a result, illegal cigarette trade has more than doubled since 2005. According to Euromonitor International – a well-respected research organization – India is now the 4th largest market in the world. 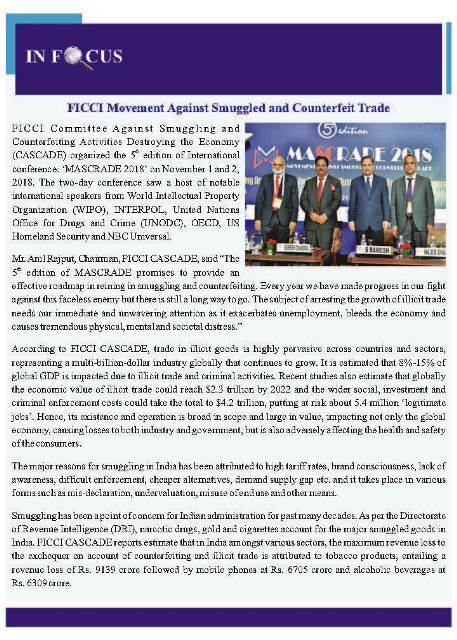 Illegal cigarettes (comprising both international smuggled and domestically manufactured tax-evaded cigarettes) now account for as much as 1/4th of the Industry. Since illegal cigarettes do not adhere to government regulations, the growth in illegal cigarette trade undermines the tobacco control policies of the government and deliberately creates the impression that these products are safer than the legal, regulation-abiding domestic products. 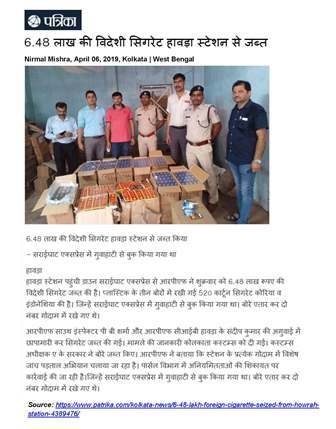 Moreover, illegal products do not use local tobaccos and hence, an increase in illegal trade impacts the livelihood of tobacco farmers in the country as demand for domestic tobaccos reduces further. These unintended consequences of extreme tobacco control regulations in India only underscore the need for the government to have policies/regulations which are equitable, rational, pragmatic and implementable. 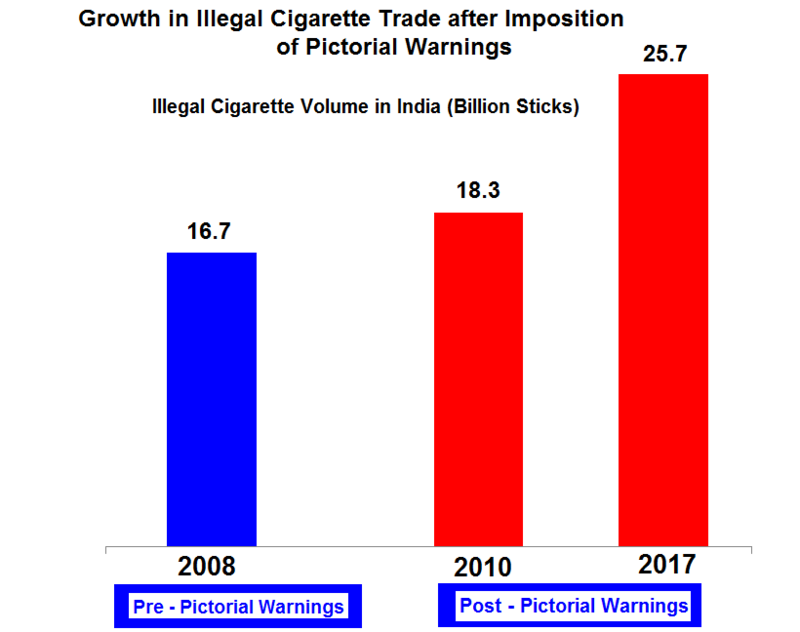 Given the rapid escalation in the growth of illegal products and the consequent impact on tobacco control policies of the government, there is an urgent need for the Government to make systemic policy intervention to ensure that regulations do not lead to uncontrollable adverse consequences for the Legal Industry and those engaged in the tobacco supply chain. Moreover, extreme regulations produce counter-productive results. They do not reduce demand for tobacco, but merely shift it from the legal segment to cheaper, regulation non-compliant illegal options of suspect quality, thereby undermining public health objectives. Over the last three decades, the legal cigarette share of total tobacco consumption in India has declined from 21% in 1981-82 to 10% currently. 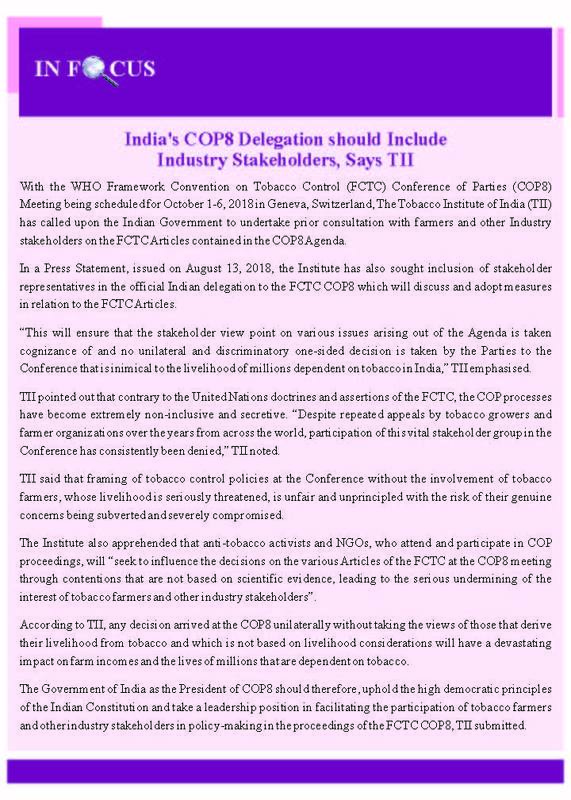 Therefore, a balance should also be drawn between India’s regulatory priorities and the larger interest of the country, the millions of people who are dependent on tobacco for their livelihood and the legal industry which contributes significantly to the exchequer. Besides, government efforts should focus on education and awareness creation programmes that have proven to be more effective in controlling tobacco consumption. Any Democratic order implies that there are moral limits on what the State may stipulate to its adult citizens and their choices. Citizens in any democratic country of the world are mature enough to take rational and logical choices. They do not want the State to determine what they should consume. The moment the State imposes extreme constraints on consumption of a legal product available internationally, a black market comes into play to reap profits. 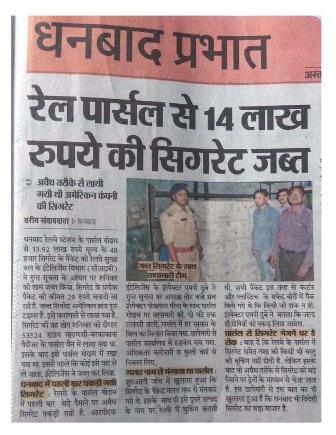 Instead of upholding virtue, this State action gives rise to an unvirtuous cycle of bootleggers or smugglers who are empowered and consumers who fall prey. Whatever protection the State could offer to consumers when the product is legally allowed, is taken away. For example, alcohol Prohibition in the USA drove 70% of the market underground. The Prohibition era in the USA gave rise to organized crime, bootlegging, corruption of law enforcement agencies and created disrespect for the law. Therefore, any extreme restriction on a legal product promotes illegal trade and encourages Mafia, criminal and anti-social elements. In fact, illegal trade obstructs economic development, undermines Government health policy objectives and the rule of law. It supports corrupt practices, funds organized crime and terrorism and encourages the expansion of criminal activity.